Ditto gets a postcard from Afghanistan! A few months ago, Ditto held a contest and asked people to send letters to the troops with Operation Gratitude. Well, Ditto got a wonderful postcard all the way from Afghanistan today! A soldier, SPC Young from the 489th Eng. 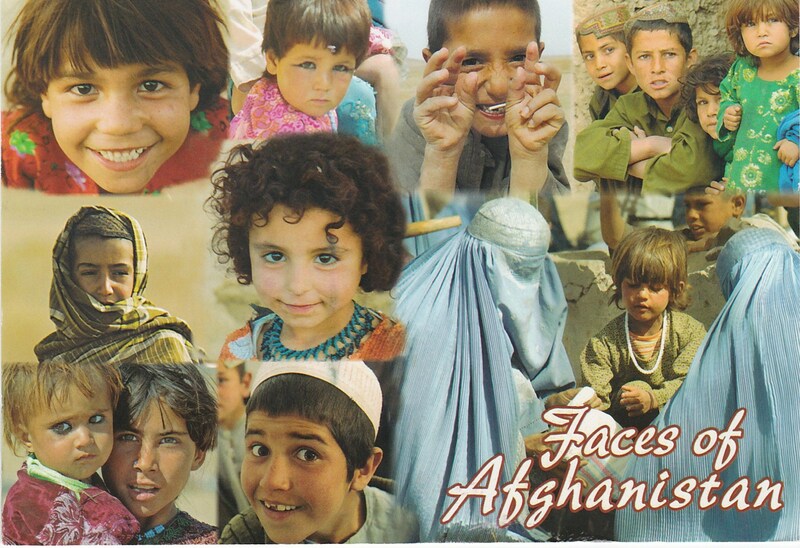 Battalion in Afghanistan, sent Ditto a wonderful postcard that has ‘The Faces of Afghanistan’, wonderful pictures of kids from all over Afghanistan. The postcard says that Children in Afghanistan wear colorful clothes as many of them prepare for their first experience going to school! This entry was posted on May 15, 2014 by dittowizard. It was filed under Uncategorized . Very cool! Thanks for sharing…and THANK YOU for supporting the troops!